Google Plus for business is a necessary process if you want to get noticed. It is all about getting your business page noticed and having others add you to their profile feeds. The business benefits can be rewarding and I have been trying to 2 years now to explain why. I will keep it short. Visit Google Plus Pages here and click on the relevant box, choose the category that best suits your organization, you can choose between Local Business or Place / Product or Brand / Company, Organization, or Institution / Art, Entertainment, and Sports / or Other. Business Page rank 6000 worldwide. Create your Google+ page and this is your brand page, Add company name a little about what you do etc. When you enter your company details in the about section add as many links as possible that relate to your business. 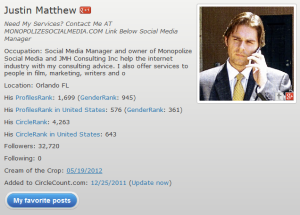 Personal Profile 32,720 followers ranked 576 in USA. 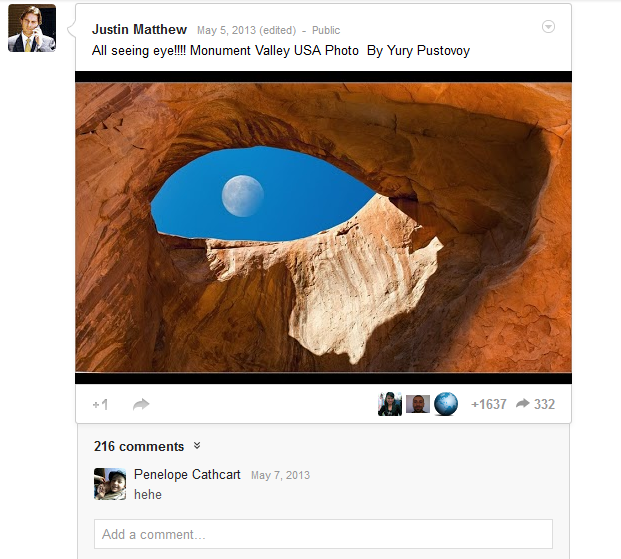 You can have the best-looking Google Plus Business Page but you need to engage. 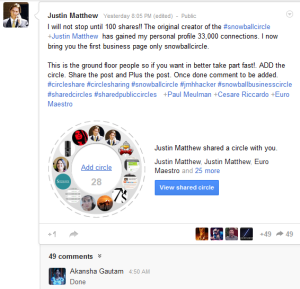 For example I did a circle share earlier tonight for just that reason (see Photo here) This is where ‘effectiveness’ comes into play that will increase people following you and then you will see shares and Google+ 1’s coming in. One of my favorite features of circlecount.com is user Euro Maestro’s who’s who on Google Plus it does not measure by followers but by engagement so any one can make it! 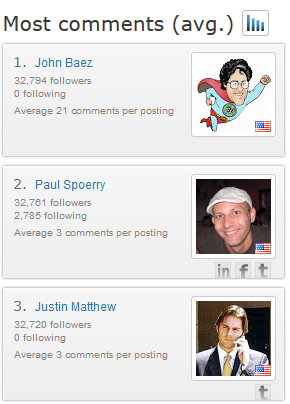 Out of the 100 million profiles he does the top 5k I ranked in at 3106 this month. Make sure your profile is fully filled out. Spend the time even hours id required people judge you on this and you never know what clients this may bring you. 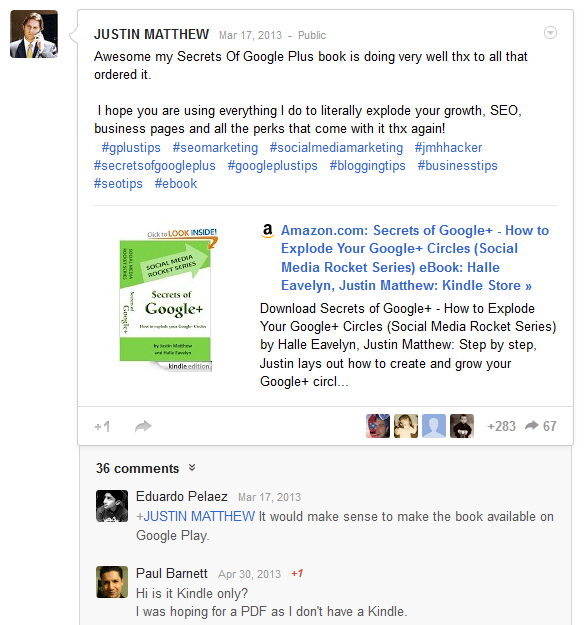 Personally I have been able to start a very successful social media corporation that is thriving due to a large part of Google plus. Monopolize Social Media Make sure you upload a professional image, add a cover photo and one profile photo that you feel great about.. Your profile photo will be the one seen when you post on other Google+ content so make it a good one! Well now what?? Oh you have to put effort in so I guess that eliminates most people right here 🙂 This is where you need to engage with content, and make consistent posts. The recent tips I provide speak for themselves right here in my growth. well IT CREATES MASSIVE ENGAGEMENT! 1637 plus 1’s 332 shares 216 comments. but also throw in other content as well so it is not just me me me. Photo posts, Asking questions Oh and of course posting blog articles like this one :)Look just get going already it is not to late you will wish you did believe me I have over 40 business pages myself. 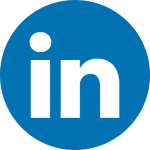 Start your Google Plus business page right now and follow the above, please do remember to add us by visiting our Google+ page. 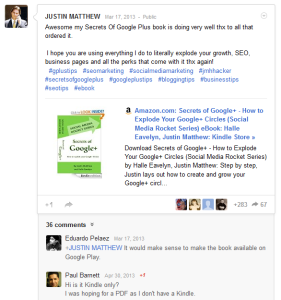 This entry was posted in google analytics, google authorship, google hangouts, google keyword tool, google plus 1, google plus communities, google plus followers, google plus for business, google plus verified, jmhhacker blog. Bookmark the permalink. Comments are closed, but you can leave a trackback: Trackback URL.